Living along the coast in Corpus Christi, homeowners and business owners always need to be prepared with tropical storms and hurricane-winds. At Corpus Christi Garage Door Repair, our team repairs and installs hurricane-resistant garage doors for both commercial and residential customers in and around the Corpus Christi, TX area. Our team believes that you don’t have to compromise style for preparedness. Every door that we offer looks great on the outside and is available with a wind load reinforcement system to withstand high-wind conditions. 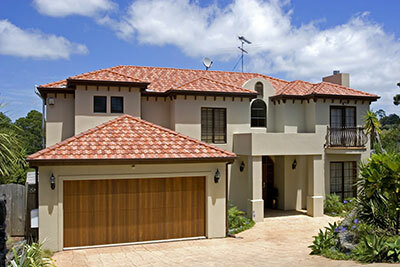 The hurricane resistant garage doors we supply are designed to meet local and Texas building codes. Simply choose the door style that is right for you and we can handle the rest. Because garage doors are so large, pressure from hurricane activity or high winds can cause garage doors to detach from their tracks or even collapse. If your door fails, then damaging, life-threatening winds can enter, blowing out doors, windows, walls and the roof. Couple this with exterior debris, such as signs, roofing materials and siding, and lives could be jeopardized. Our team is proud to provide a complete lineup of innovative wind-load rated hurricane garage doors. We offer wind load rated solutions for residential hurricane proof garage doors, commercial sectional doors, industrial damage resistant doors and even high speed hurricane rated garage doors. It's important to understand that wind-load rated hurricane garage doors are designed to withstand nature’s power and keep your family, employees and possessions safe. These hurricane-rated garage doors are built with superior craftsmanship, durability and trouble-free performance protect your home or business against hurricanes, wind-borne debris, tough rain, high-wind, and internal and external pressure changes. After many years working in the garage door industry, we know that coastal and inland residents alike take precautions when they see the “red flag,” signaling an impending hurricane. Coastal residents and business owners wisely heed the warning and prepare their homes and commercial locations for high wind conditions. Unfortunately, many fail to take the crucial extra step needed to prepare their homes and business—reinforcing their overhead doors, the largest openings on their properties, and a likely entry point for potentially devastating wind. It’s been proven that if garage doors fail, high winds can enter homes through the garage and blow out doors, windows, walls, and even the roof. If you are looking for peace of mind, we can upgrade your existing garage door with our one of our hurricane-resistant options. If you are in need of wind migration points as required by your insurance carrier to qualify for lower premiums, we can install a load and impact rated hurricane door to meet your cities building code requirements. Trust us, you will feel more at ease the next time a hurricane is coming when you've eliminated your highest point of vulnerability, your garage door. 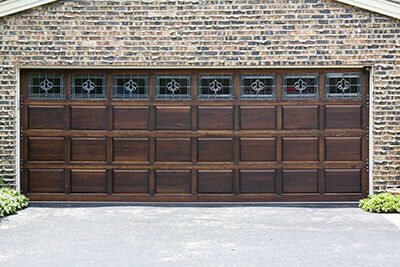 What makes these garage doors so strong is that they have reinforced struts made from high tensile steel. Some wind loaded garage doors are also tested at wind speeds of up to 150 miles per hour, equal to a Category 4 hurricane, and some models also undergo impact testing using a 2×4 wooden stud fired from a canon to simulate flying debris. This testing helps ensure that the garage door can stand up to even the most severe weather conditions. While there are many benefits to living along the coast in Corpus Christi, there is also the threat of a hurricane strike. Hurricane damage can be costly for even the most insured homeowner, which is why it’s so important to take precautions where possible. Hurricane-rated garage doors can help secure any garage because of their high resistance to extreme wind and other inclement weather. These garage doors are specially designed to withstand the high-powered winds that typically batter homes during hurricane season. Additionally, it’s important to take necessary precautions for your business. Just as you want to protect your home from the elements, you also want to protect your business—including people, equipment and inventory. When you choose a hurricane rated garage door for your business, you get a product that can stand up to strong winds, heavy rains and the other weather challenges faced here in Texas. You may find that a hurricane garage door for your business helps you obtain more favorable insurance rates, too. Either way, you save when you choose commercial hurricane-proof garage doors from Corpus Christi Garage Door Repair. If you’re interested in learning more about your options when it comes to installing a hurricane-resistant garage door in your home or business, feel free to reach out to our staff for a complimentary consultation.